Feet are often neglected. They deserve pampering and TLC. Foot Works has many products available to help with all kinds of issues. Cracked heels, dry feet and achy feet are just a few of the issues that this line addresses. Try Beautiful Dual Action Pedi-Peel. 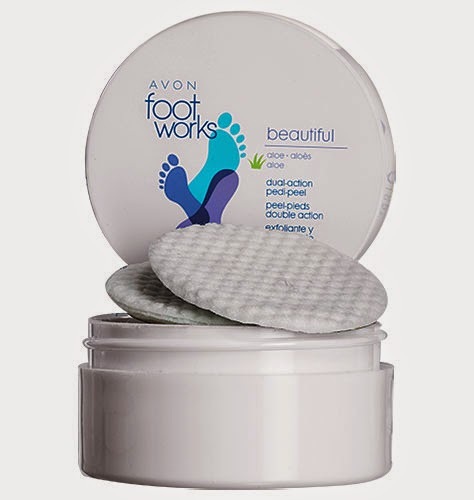 These pads retexture your feet making them smooth. Say goodbye to cracked heels. Follow up with Beautiful Deep Moisturizing Cream.